As we grow older, our immune system gradually wears down. This is just inevitable in some ways, as we have lived through many things which weaken the immune system. Illness and infections can strengthen us against that particular ailment, but weaken our immune system over all. Many of us eat foods we have a minor intolerance to, and eat these foods our whole lives, weakening our immune systems. And as we grow older we are at increased risk of spontaneous development of allergies and autoimmune conditions. However, there are ways of working against this slow degradation and keeping our immune systems strong no matter what our age. Too often, when we think of boosting our immune system we think of increasing our vitamin intake or taking antibiotics. Rarely do we ever talk about minerals on the same level. Which is a shame, as minerals are also key to maintaining a healthy immune system. These are some of the best minerals for boosting our immune systems. 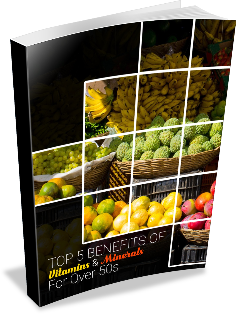 This is the single most important trace minerals where antioxidant properties are concerned. Selenium operates throughout our immune system, making it stronger and helping us to grow the specialized cells that target and get rid of dangerous viruses and bacteria. Most of us do not eat enough selenium, as this nutrient is found in the parts of food we do not like to eat, like vegetables, seeds, or animal cartilage. However, our low intake of selenium results in a weak immune system which cannot fight illnesses off as well as when we were younger. Many people find they need to take supplements to avoid falling ill repeatedly. Iodine is one of the most common deficiencies in the Western world, largely because we avoid all whole foods that contain it, such as shellfish or sea vegetables. We avoid these foods so much that way back in the 20s we even started adding it to our table salt. But the amount we have added is not enough, even with our excessive salt intake. A consequence of our low iodine intake is that our thyroid is out of balance, putting us at serious risk of allergies, food intolerances, and autoimmune conditions, all of which wear our immune systems down. Magnesium is an essential mineral for improving our immune system’s health. It is vital to maintaining all round physical health and for our immune system. Researchers are currently asking if the recommended dietary allowance for magnesium is too low. This will come as a shock to the few of us who thought we were eating enough. Not to mention, as a huge shock to the nearly 45% of Americans who aren’t even eating their recommended dietary allowance! Magnesium’s most vital role in immune system function is working alongside vitamin D to fight off stress and boost happy hormones and healing factors. This results in all round improved immune function. Finally, we have zinc. Most people are deficient in zinc without even knowing it. This is because dietary recommendations have been pushing us away from fatty and protein filled foods for years, even though these foods are our very best sources of zinc. Zinc is truly amazing for our immune system, though. A small zinc supplement can help us fight of autoimmune conditions and inflammation, first of all. But zinc also helps us manage when our immune system is threatened. Nothing can cure a cold or a flu. Zinc can make our bodies better able to deal with the symptoms. It may better be able to fight off the virus faster, too.